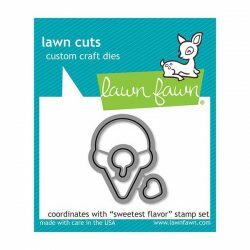 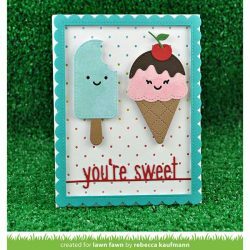 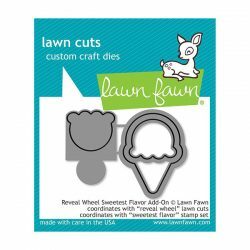 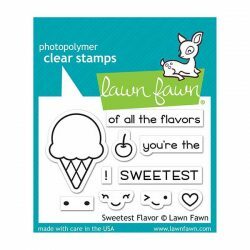 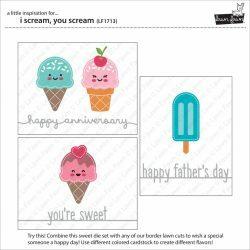 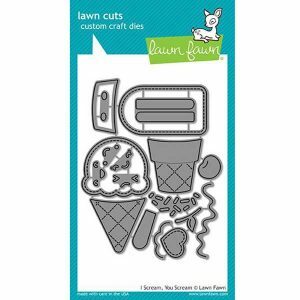 I Scream, You Scream dies by Lawn Fawn. I scream, you scream, we all scream for ice cream! 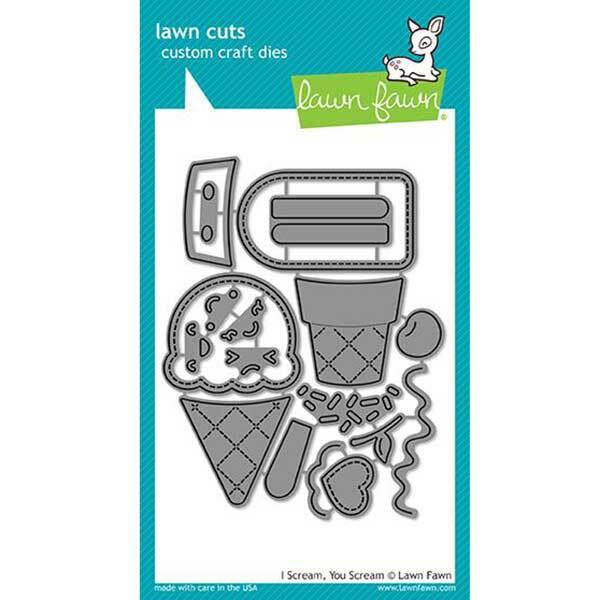 Create cute ice cream treats with this set of scoops, cones, popsicles, and toppings.